AVC: I have a hazy memory of seeing you on Friday Night Videos back in the mid-’80s, co-hosting with John Ratzenberger, and you each got to pick one video during the show. And if I’m not mistaken you picked “King Of The Hill” by the Minutemen. GW: I may have. I was a big fan of the Minutemen. Unfortunately their career only lasted about a minute. D. Boon had that tragic auto wreck. But I still listen to various Mike Watt projects. 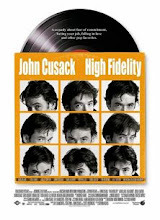 For good measure, see here for an (apparently old) fan site dedicated to FNV and here for my prior post of the Minutemen and their connection to the 2000 film, High Fidelity. Above: The "King of the Hill" video by the Minutemen. Above: The "Friday Night Videos" introduction. 1. Bianculli, David. "TV Tonight," Philadelphia Inquirer. November 8, 1985; Sonsky, Steve. "Videos, Wrestling Keep 'Retired' Ebersol Busy," Miami Herald. November 8, 1985.